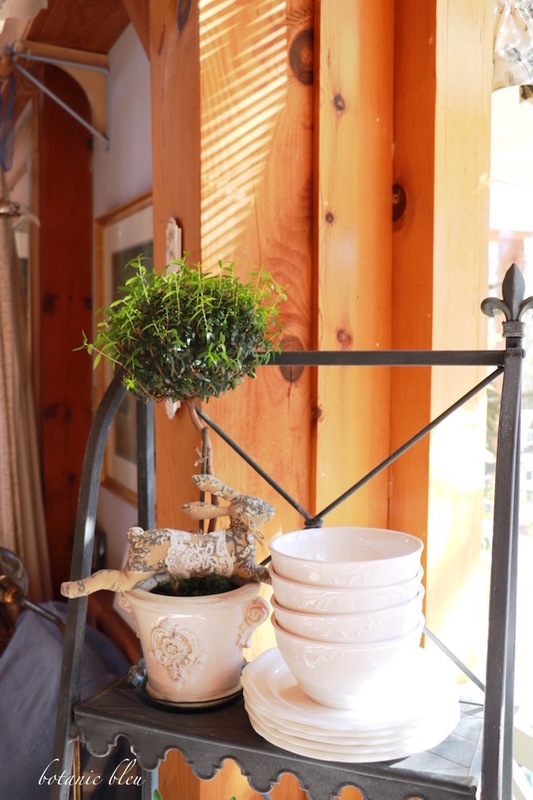 As I turned around on the new covered porch this week to look at the French style metal plant stand, I began making a list in my head of small bedding plants to buy this Spring for the plant stand. 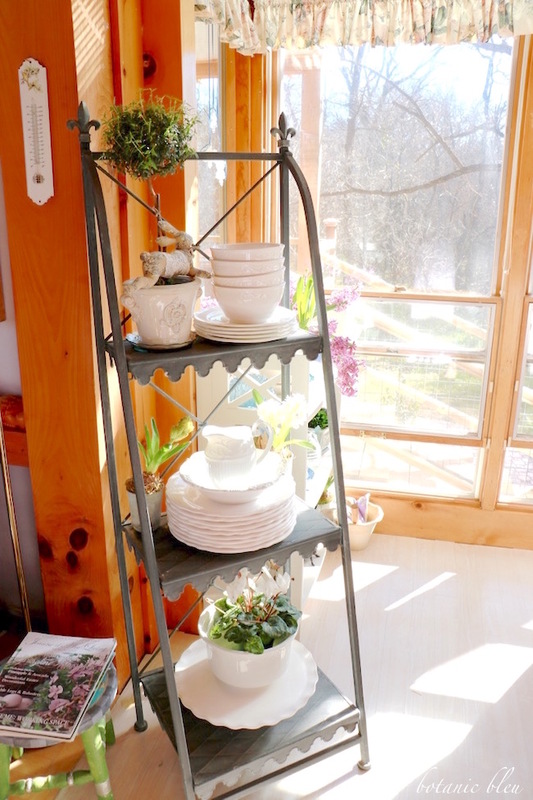 this Spring the plant stand became a P L A T E stand? 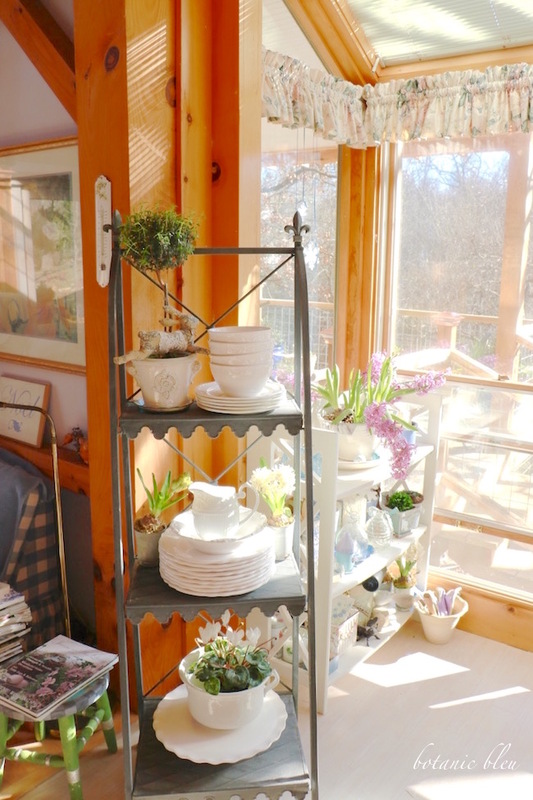 Last fall I moved the plant stand from the kitchen to the new covered porch to hold flower pots, gardening tools, Christmas greenery, and a handmade birdhouse. Now, I began envisioning it sitting back in the kitchen sunspace holding white dishes. Once the idea took hold, the follow-through plan began immediately. After sitting outside all Fall and Winter, the gray metal stand was covered in dirt. Wiping the dirt off with a cleaning cloth was not enough to clean the stand. Nope. To remove all the dirt and grime, buckets of water had to be poured on the shelves, then wiped down to remove the excess water. Once inside, I loved how the white dishes look against the gray metal shelves. As I loaded the dishes onto the shelves, I modified my plan a little. 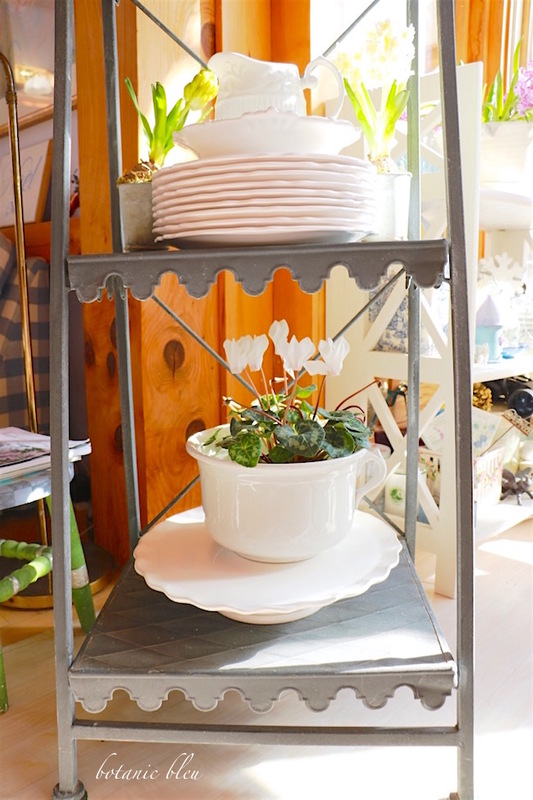 This Spring the PLANT stand became a PLATE stand with plants. 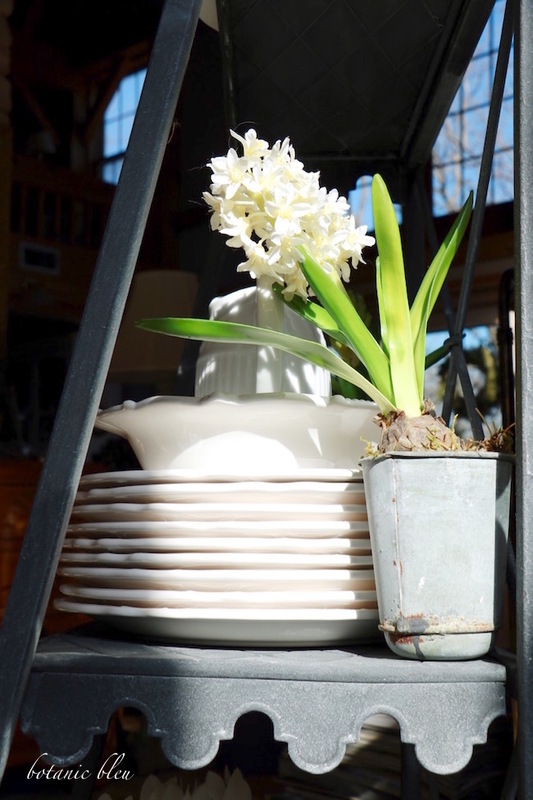 Faux hyacinth buds and blooms in vintage French zinc seed pots flank the stack of white plates, serving bowl and small pitcher on the middle shelf. 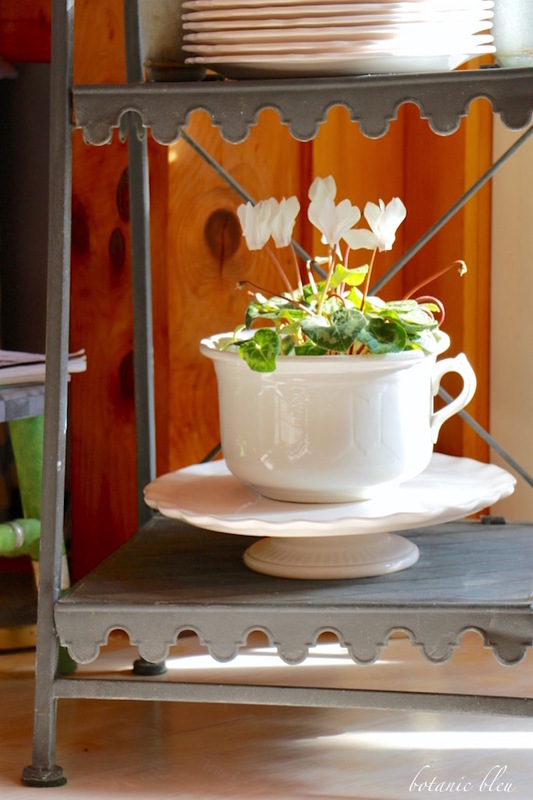 White cyclamen fill a vintage stoneware chamber pot and are bathed in late afternoon sunlight. Spring is less than four weeks away officially, but Spring is popping up both outside and inside. Daffodils and redbuds are blooming outside, and a brown toile bunny sits on the topiary pot inside. Sometimes an answer to a nagging question is right in front of you. and change a plant stand to a plate stand. Any nagging decorating questions rattling around in your mind? See how the French metal plant stand has looked before. I like this idea and you can't go wrong with white plates. Love the added detail with the topiary. 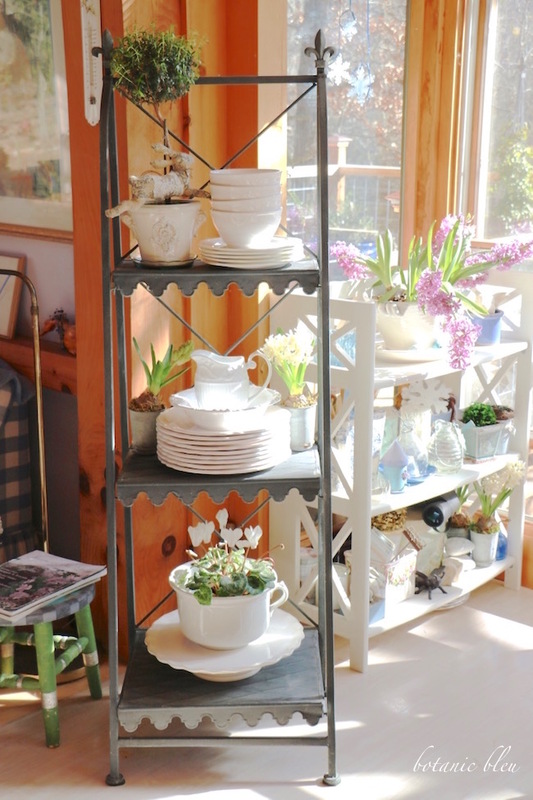 That plant stand as plate rack looks great, Judith. 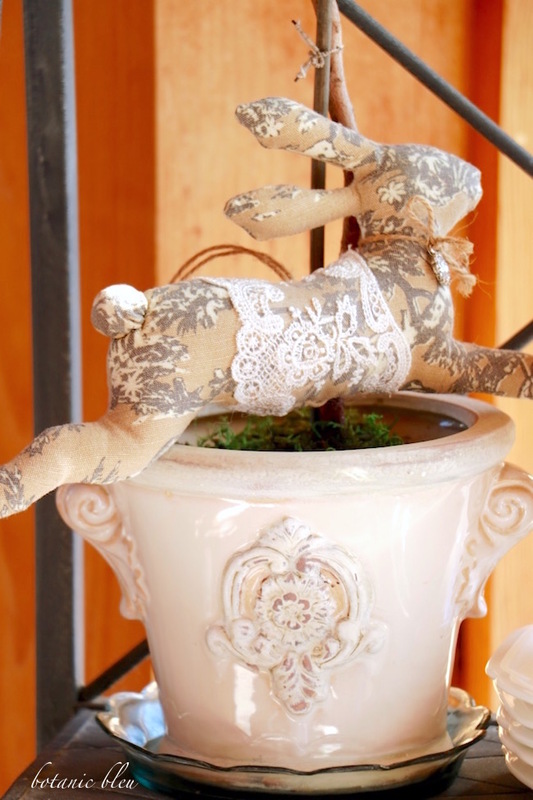 Love the planter with rabbit too. At this point, I have all sorts of nagging decorating questions rattling around in my mind. As I packed up 'stuff' for our home improvements project, I am really trying to challenge myself in what I want to bring back out and purge. 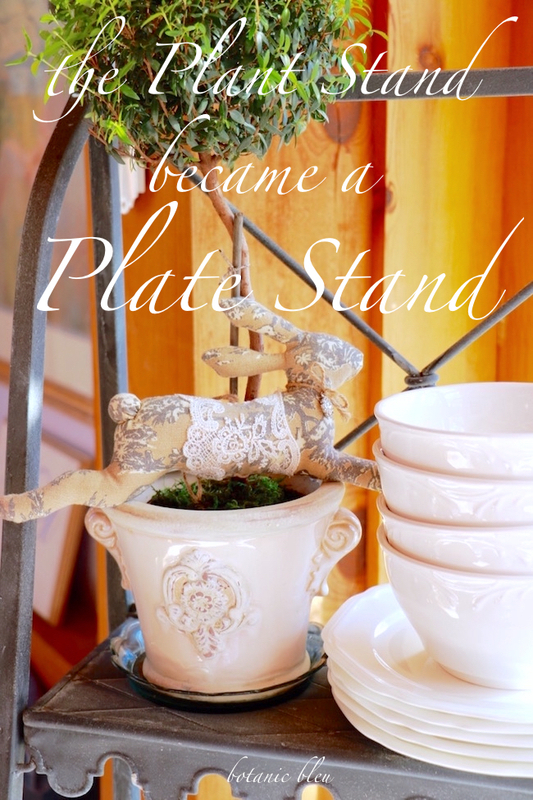 I love that plant stand turned plate stand. It has a "Fixer Upper" look to it but it is perfectly French looking. Darling. A great idea. That was an inspired idea! 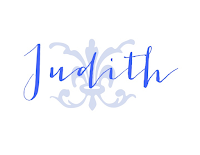 Judith, it flows together so well and in a great spot for natural light. Your plants and plates are playing nicely together! I have always thought that food looks fresher and more attractive when served on white china plates and displaying your white china on a plant stand, surrounded by plants/flowers, is very appealing. A very fresh, clean look! Judith, that was a great idea! The plates look beautiful and that stand is gorgeous! The greenery mixed in with the white plates adds a great pop of color and that rabbit is too cute!! Love and hugs! 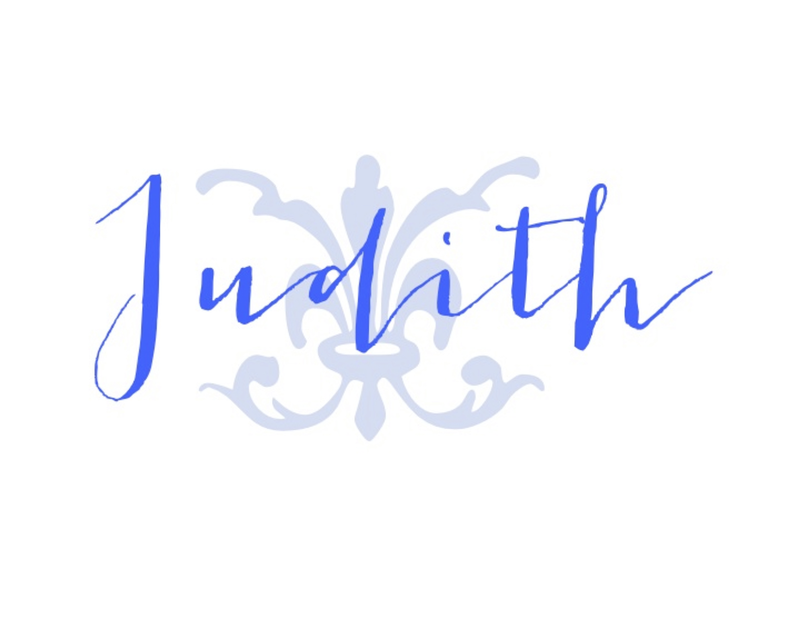 Judith, this is a brilliant idea! I love this look, and the dishes are at the ready for your table. The addition of the plants is a perfect idea. I'm crushing over that bunny with the lace detail. Did you make it? Or do you have a source for these? Adorable!